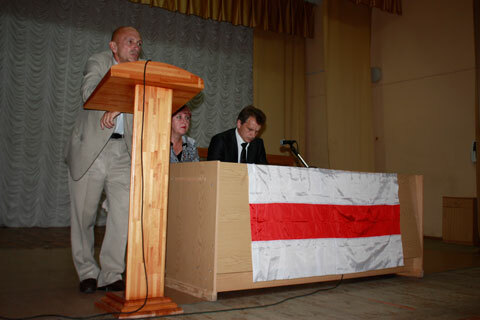 An electoral meeting with Viktar Malochka, a candidate for the Parliament running at election constituency #68, took place in the Builder's Club in the evening of 5 September. The leader of the United Civil Party Anatol Liabedzka also attended the event as an electioneering agent for Malochka. About 70 people came to the meeting, including local human rights defenders and OSCE observers. The meeting was conducted under a vigilant supervision of the police. Despite this, the general atmosphere was quiet and friendly. Viktar Malochka and his electioneering agent Anatol Liabedzka told the audience about the campaign “For Free Elections without Lukashenka” and called the electors not to go the “pseudo elections to the pseudo-Parliament”. However, some incidents took place during and after the event. Heorhi Kryvaltsevich, a notorious officer of the Salihorsk police (responsible for many arrest and general harassment of the opposition in the area) tried to arrest another electioneering agent of Viktar Malochka, Ivan Shyla, threatening him with two days of arrest. However, Kryvaltsevich refused from his intention after consulting somebody over the phone. 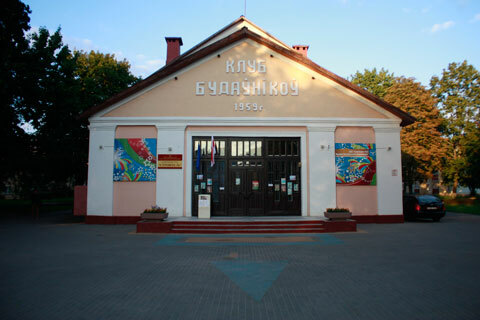 After the end of the meeting the traffic police, prompted by the local KGB, came to the club and issued $12 fines to Malochka and Liabedzka for violation of the rules of parking.